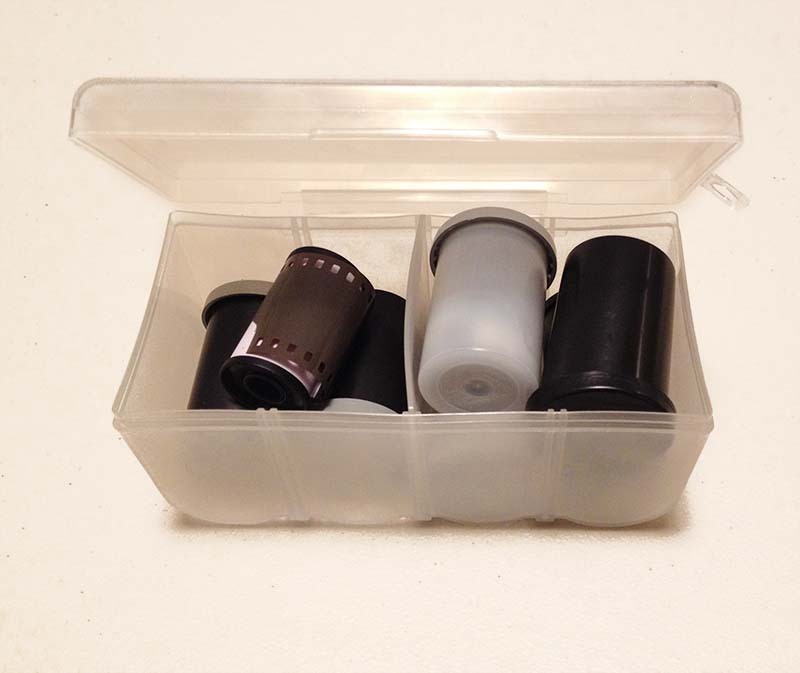 Do you have rolls of 35mm film, or full film containers in your camera bag or your refrigerator? Of course you do, you're reading this blog aren't you? Ever wanted to purchase or come up with a storage box or carrying case? If so, I have a cheap tip for you. Purchase a "D" sized battery storage box. They are sold at places like Fry's Electric, Radio Shack, etc., and are super cheap. The one I bought holds 8 "D" sized batteries, or in my case, 8x35mm film rolls or containers.